The French Riviera, or Cote D'Azur (Blue Coast) is one of the most celebrated regions in the world for chic beach resorts, gorgeous scenery, great restaurants, and overall joie de vivre. 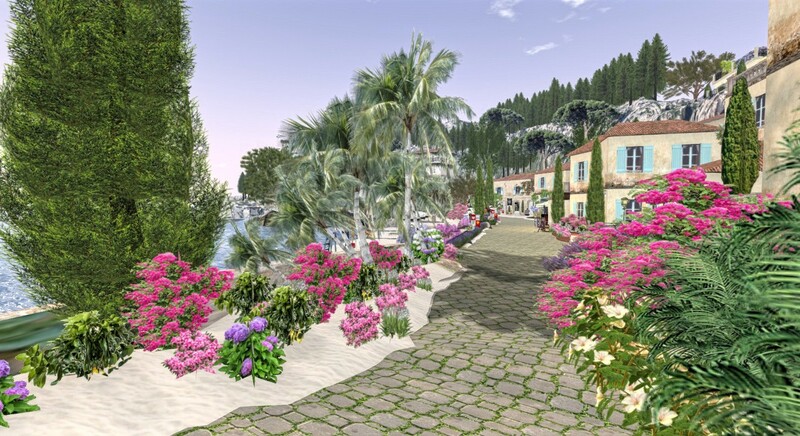 Villa de Coeur on the Coeur d'Azur is representative of the charming coastal towns which line the Riviera. 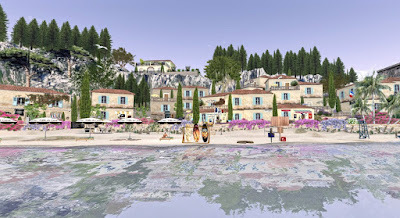 Rugged hills which line the coast are full of Cypress trees and fragrant year-round lavender. Art galleries and cafe's are de rigeur here, as are the lines of beach umbrellas and chairs which somehow look more polished than they do in less spectacular regions. 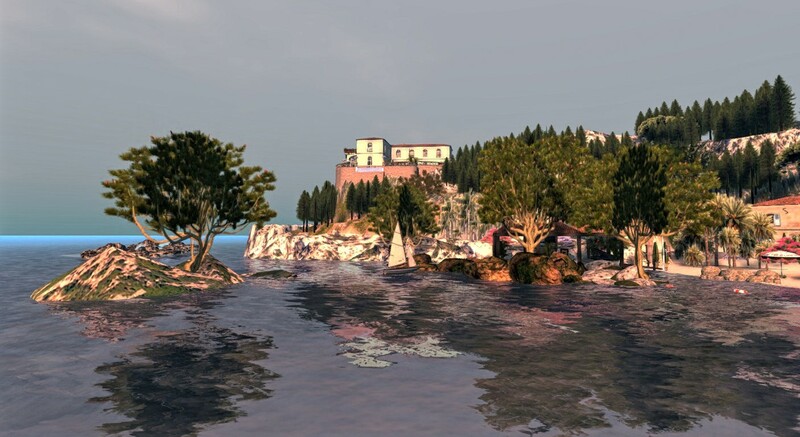 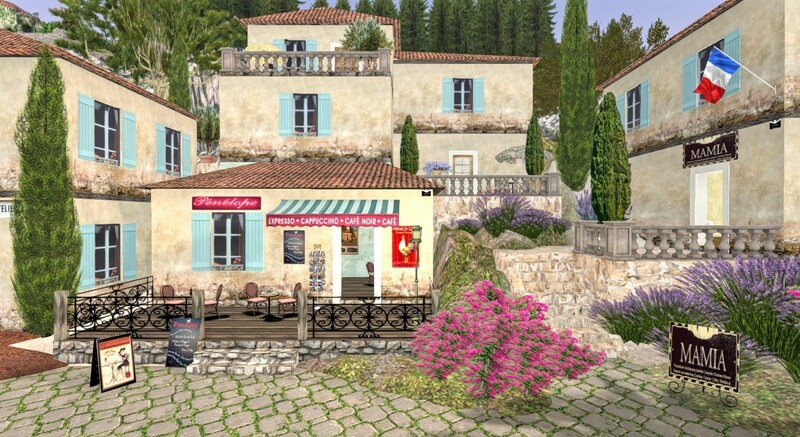 Coeur d'Azur is part of an 11 sim residential and commercial region that represent several scenic regions of France. 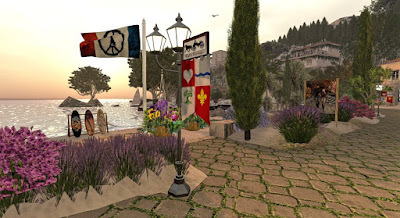 Nearby Provence Coeur has several attractive period decor and home furnishing shops and Normandie Coeur Hamlet is currently covered in gorgeous winter snows. 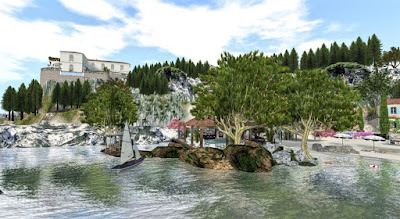 The entire region can be visited and has some of the best landscaping in Second Life and is highly recommended.